Its members may be elected with a different voting system than that used to elect the lower house (for example, upper houses in Australia and its states are usually elected by proportional representation, whereas lower houses are not). 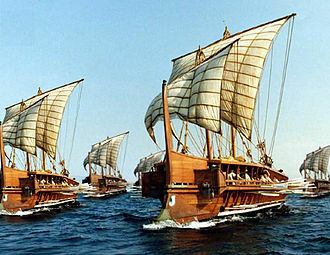 It is also common that the upper house consists of delegates chosen by state governments or local officials. 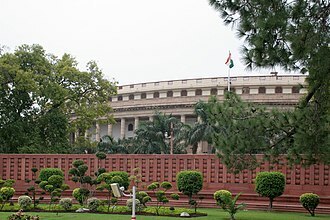 Members of the Rajya Sabha in India are nominated by various states and union territories, while 12 of them are nominated by the President of India. Similarly, at the state level, one-third of the members of the Vidhan Parishad are nominated by local governments, one-third by sitting legislators, and the rest are elected by select members of the electorate. 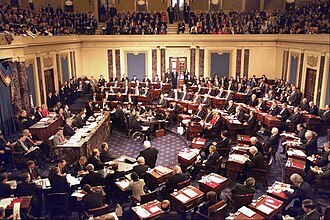 The United States Senate was chosen by the State legislatures until the passage of the Seventeenth Amendment in 1913. 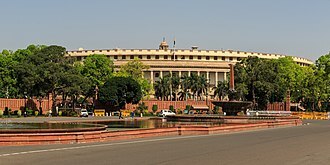 The Rajya Sabha or Council of States is the upper house of the Parliament of India. Membership of Rajya Sabha is limited by the Constitution to a maximum of 250 members, Members sit for staggered six-year terms, with one third of the members retiring every two years. The Rajya Sabha meets in continuous sessions, and unlike the Lok Sabha, the Rajya Sabha, like the Lok Sabha can be prorogued by the President. The Rajya Sabha has equal footing in all areas of legislation with Lok Sabha, except in the area of supply, in the case of conflicting legislation, a joint sitting of the two houses can be held. However, since the Lok Sabha has twice as many members as the Rajya Sabha, the Vice-President of India is the ex-officio Chairman of the Rajya Sabha, who presides over its sessions. The Deputy Chairman, who is elected from amongst the houses members, the Rajya Sabha held its first sitting on 13 May 1952. The salary and other benefits for a member of Rajya Sabha are same as for a member of Lok Sabha, Rajya Sabha members are elected by state legislatures rather than directly through the electorate by single transferable vote method. 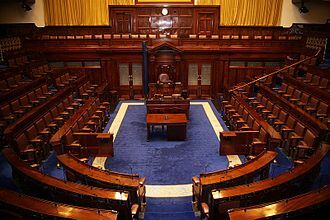 Article 84 of the Constitution lays down the qualifications for membership of Parliament, must be elected by the Legislative Assembly of States and Union territories by means of Single transferable vote through Proportional representation. Must have their name present on the voters list, cannot be an insolvent, i. e. he/she should not be in debt that he/she is not capable of repaying in a current manner and should have the ability to meet his/her financial expenses. Should not hold any office of profit under the Government of India. Should not be of unsound mind, must possess such other qualifications as may be prescribed in that behalf by or under any law made by Parliament. In addition, twelve members are nominated by the President of India having special knowledge in areas like arts. However, they are not entitled to vote in Presidential elections as per Article 55 of the Constitution, the Constitution of India places some restrictions on Rajya Sabha which makes Lok Sabha more powerful in certain areas in comparison. The German Bundesrat is a legislative body that represents the sixteen Länder of Germany at the national level. The Bundesrat meets at the former Prussian House of Lords in Berlin and its second seat is located in the former West German capital of Bonn. 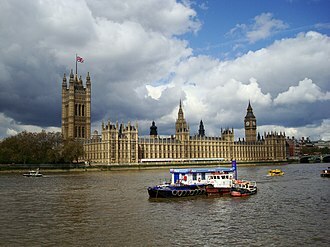 For its similar function, it is described as an upper house of parliament along the lines of the US Senate. Bundesrath was the name of similar bodies in the North German Confederation and its predecessor in the Weimar Republic was the Reichsrat. The political makeup of the Bundesrat is affected by changes in power in the states of Germany, each state delegation in the Bundesrat is essentially a representation of the state government and reflects the political makeup of the ruling majority or plurality of each state legislature. 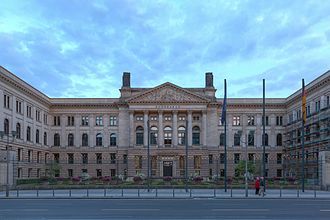 The German Bundesrat was first founded, together with the North German Confederation and it was continued under the same name and with the same functions by the German Empire, in 1871. Under the Weimar Constitution,1919, it was replaced by the Reichsrat, whilst appointed by state governments just as today, the delegates of the original Bundesrat—as those of the Reichsrat—were usually high-ranking civil servants, not cabinet members. The original Bundesrat was very powerful, every bill needed its consent and it could also, with the Emperors agreement, dissolve the Reichstag. The Reichsrat of the Weimar Republic had considerably less influence, since it could only veto bills—and even be overruled by the Reichstag, overruling the Reichsrat needed a majority of two-thirds in the Reichstag, which consisted of many parties differing in opinion. So, in most cases, bills vetoed by the Reichsrat failed due to the lack of unity among the Reichstags constituent parties. 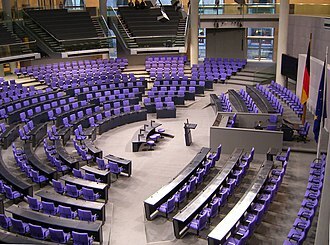 The Bundesrat met in the building as the Reichstag and Bundestag from 1871 until 2000. The composition of the Bundesrat, 1871–1919, was as follows, Bundesrat members are not elected—either by popular vote or by the state parliaments—but are delegated by the respective state government. Normally, a state consists of the Minister President and other cabinet ministers. The state cabinet may appoint as many delegates as the state has votes, in any case, the state has to cast its votes en bloc, i. e. without vote splitting. Parliamentary procedure is the body of rules and customs governing meetings and other operations of clubs, legislative bodies, and other deliberative assemblies. In the United States, parliamentary procedure is referred to as parliamentary law, parliamentary practice, legislative procedure. 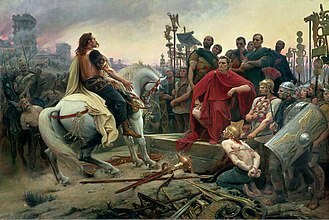 At its heart is the rule of the majority with respect for the minority and its object is to allow deliberation upon questions of interest to the organization and to arrive at the sense or the will of the assembly upon these questions. 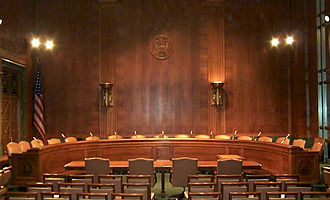 Self-governing organizations follow parliamentary procedure to debate and reach group decisions—usually by vote—with the least possible friction, Rules of order consist of rules written by the body itself, but usually supplemented by a published parliamentary authority adopted by the body. The term gets its name from its use in the system of government. In the 16th and 17th century, there were rules of order in the early Parliaments of England, in the 1560s Sir Thomas Smyth began the process of writing down accepted procedures and published a book about them for the House of Commons in 1583. 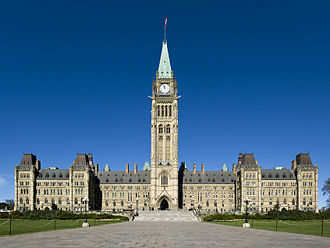 In Canada, for example, Parliament uses House of Commons Procedure, the rules of the United States Congress were developed from the parliamentary procedures used in Britain. The American parliamentary procedures are followed in nations, including Indonesia. The procedures of the Diet of Japan have moved away from the British parliamentary model, in Occupied Japan, there were efforts to bring Japanese parliamentary procedures more in line with American congressional practices. In Japan, informal negotiations are more important than formal procedures, voting determines the will of the assembly. While each assembly may create their own set of rules, these tend to be more alike than different. A common practice is to adopt a standard book on parliamentary procedure. 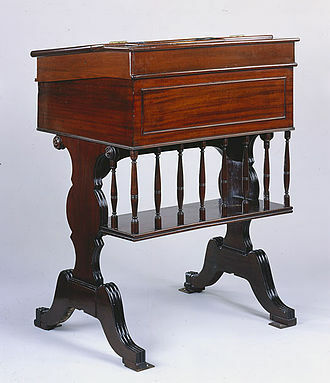 A parliamentary structure conducts business through motions, which cause actions, members bring business before the assembly by introducing main motions, or dispose of this business through subsidiary motions and incidental motions. The Government of the French Republic exercises executive power. 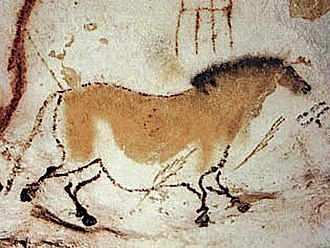 It is composed of a minister, who is the head of government. Senior ministers are titled as Ministers, whereas junior ministers are titled as Secretaries of State, a smaller and more powerful executive body, called the Council of Ministers, is composed only of the senior ministers, though some Secretaries of State may attend Council meetings. By comparison, the Government of France is equivalent to Her Majestys Government in the United Kingdom, all members of the French government are nominated by the President of the Republic on the advice of the Prime Minister. Members of the government are ranked in an order, which is established at the time of government formation. In this hierarchy, the Prime Minister is the head of government and he is nominated by the President of the Republic. After being nominated to lead a government, the Prime Minister nominee must propose a list of ministers to the President, the President can either accept or reject these proposed ministers. Ministers are ranked by importance, Ministers of State are senior ministers and it is an honorary rank, granted to some Ministers as a sign of prestige. Ministers are senior ministers, and are members of the Council of Ministers, Secretaries of State are junior ministers. This is the lowest rank in the French ministerial hierarchy, Secretaries work directly under a Minister, or sometimes directly under the Prime Minister. While the Council of Ministers does not include Secretaries of State as members, according to the Constitution of the French Fifth Republic, the government directs and decides the policy of the nation. 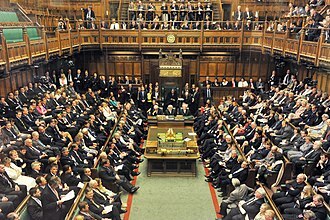 In practice, the government writes bills to be introduced to parliament, all political decisions made by the government must be registered in the government gazette. All bills and some decrees must be approved by the Council of Ministers, furthermore, it is the Council of Ministers that defines the collective political and policy direction of the government, and takes practical steps to implement that direction. In government, unicameralism is the practice of having one legislative or parliamentary chamber. 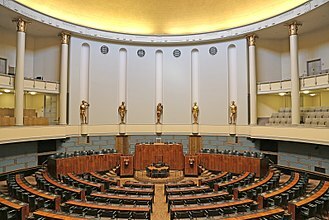 Thus, a parliament or unicameral legislature is a legislature which consists of one chamber or house. Unicameral legislatures exist when there is no widely perceived need for multicameralism, many multicameral legislatures were created to give separate voices to different sectors of society. Multiple chambers allowed for guaranteed representation of different social classes, ethnic or regional interests, where these factors are unimportant, in unitary states with limited regional autonomy, unicameralism often prevails. Unicameral legislatures are common in official Communist states such as the Peoples Republic of China, many formerly Communist states, such as Ukraine and Serbia, have retained their unicameral legislatures, though others, such as Romania and Poland, adopted bicameral legislatures. Both the former Russian SFSR and the Union of Soviet Socialist Republics were bicameral, the two chambers were the Soviet of Nationalities and the Soviet of the Union. The Russian Federation retained bicameralism after the dissolution of the USSR, the principal advantage of a unicameral system is more efficient lawmaking, as the legislative process is much simpler and there is no possibility of deadlock. 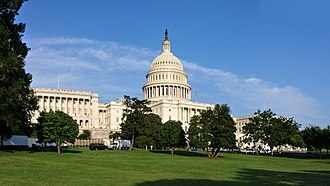 Proponents of unicameralism have argued that it costs, even if the number of legislators stay the same, since there are fewer institutions to maintain. There is the risk that important sectors of society may not be adequately represented, approximately half of the worlds sovereign states are currently unicameral, including both the most populous and the least populous. Many subnational entities have unicameral legislatures, and all of the Brazilian states. In the United Kingdom, the devolved Scottish Parliament, National Assembly for Wales, Congress of Deputies of Second Spanish Republic was unicameral between 1931 and 1936. Dissolved at the end of Spanish Civil War, the actual Spanish Parliament is bicameral, Supreme Assembly of Uzbekistan was unicameral before being replaced in 2005 by the current, bicameral Supreme Assembly. Age of candidacy is the minimum age at which a person can legally qualify to hold certain elected government offices. In many cases, it determines the age at which a person may be eligible to stand for an election or be granted ballot access. 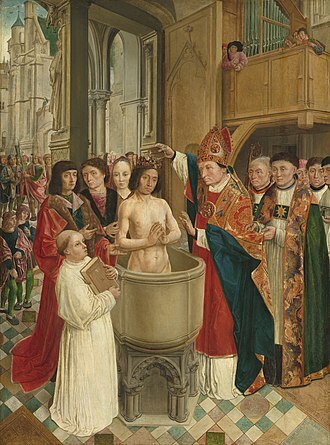 The first known example of a law enforcing age of candidacy was the Lex Villia Annalis, many youth rights groups view current age of candidacy requirements as unjustified age discrimination. Occasionally people who are younger than the age will run for an office in protest of the requirement or because they dont know that the requirement exists. On extremely rare occasions, young people have elected to offices they do not qualify for and have been deemed ineligible to assume the office. In 1934, Rush Holt of West Virginia was elected to the Senate of the United States at the age of 29. Constitution requires senators to be at least 30, Holt was forced to wait until his 30th birthday, six months after the start of the session, in 1954, Richard Fulton won election to the Tennessee Senate. Shortly after being sworn in, Fulton was ousted from office because he was only 27 years old at the time, the Tennessee State Constitution required that senators be at least 30. 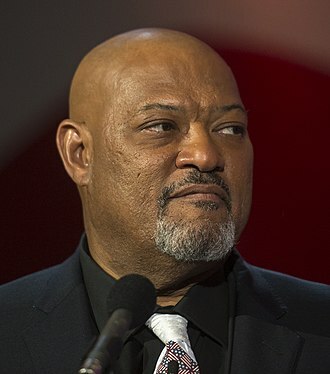 Rather than hold a new election, the incumbent, Clifford Allen, was allowed to resume his office for another term. Fulton went on to win the next State Senate election in 1956 and was elected to the US House of Representatives where he served for 10 years. In South Carolina, two Senators aged 24 were elected, but were too young according to the State Constitution, Mike Laughlin in 1969, on several occasions, the Socialist Workers Party has nominated candidates too young to qualify for the offices they were running for. In 1972, Linda Jenness ran as the SWP presidential candidate, Constitution requires that the President and Vice President be at least 35 years old, Jenness was not able to receive ballot access in several states in which she otherwise qualified. Despite this handicap, Jenness still received 83,380 votes, in 2004, the SWP nominated Arrin Hawkins as the partys vice-presidential candidate, although she was only 28 at the time. The three thrones at the head of the Canadian Senate chambers.